Pre Credit-Crisis. First impressions. October 2007. It is my first visit to Dubai. 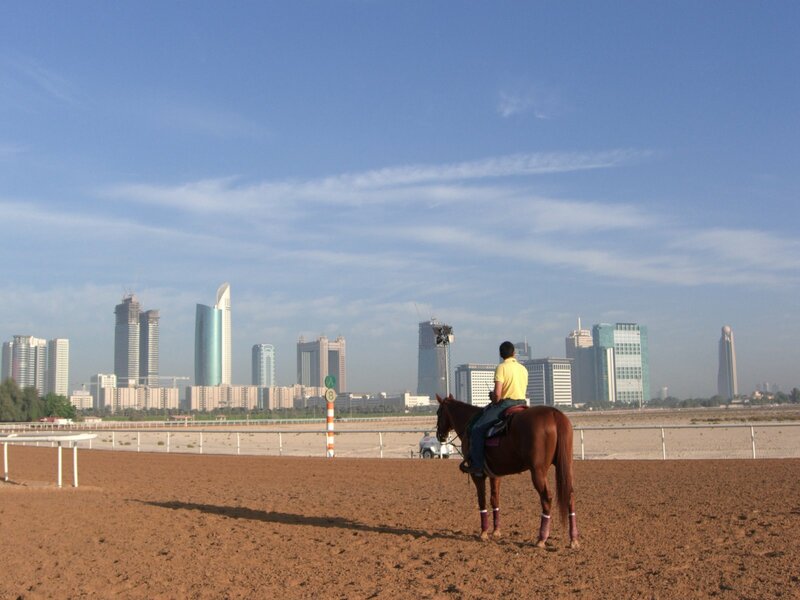 We drive along Sheikh Zayed Road, a 12-lane highway that whizzes through the city. There is a huge banner at the beginning of it: “Welcome to the Future.” Indeed this is a space age city. Astonishing architecture. An elevated metro. 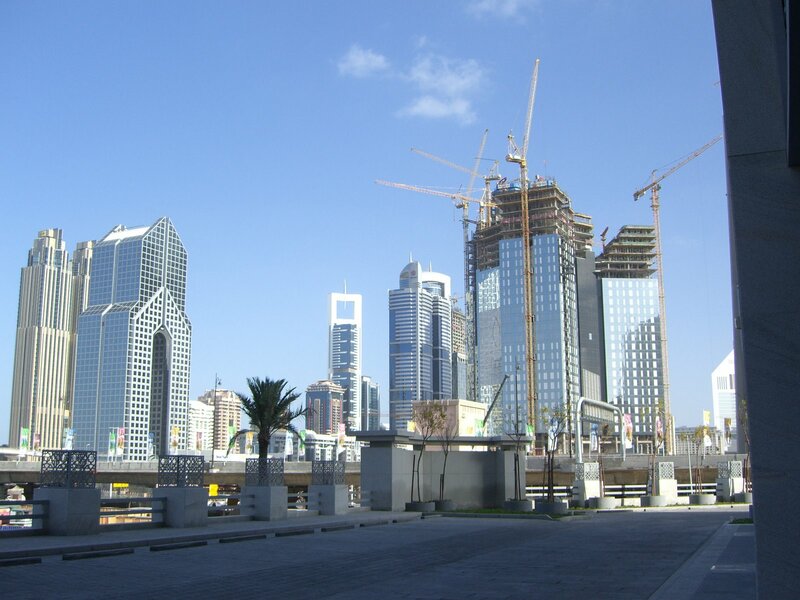 Focused commercial districts such as Dubailand, Knowledge City, Media City, and Internet City. Water Parks. Massive malls including ski slopes, Olympic size ice rinks, full-size aquariums and underwater zoos. Man-made islands (“reclaimed land”) shaped like Palm Trees and a map of the world. 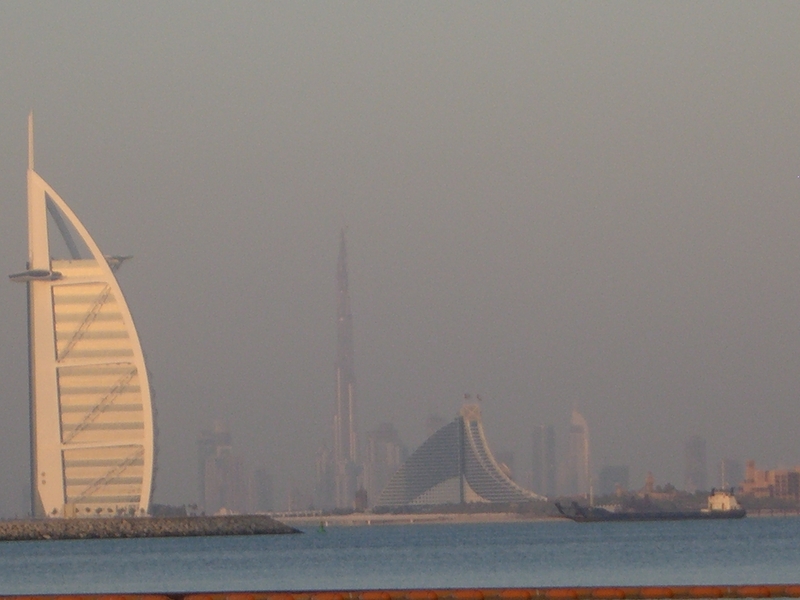 My husband points out the hotels shaped like the sail of a dhow- Burj (tower) al Arab – and a sea wave- Jumeirah Beach Hotel. 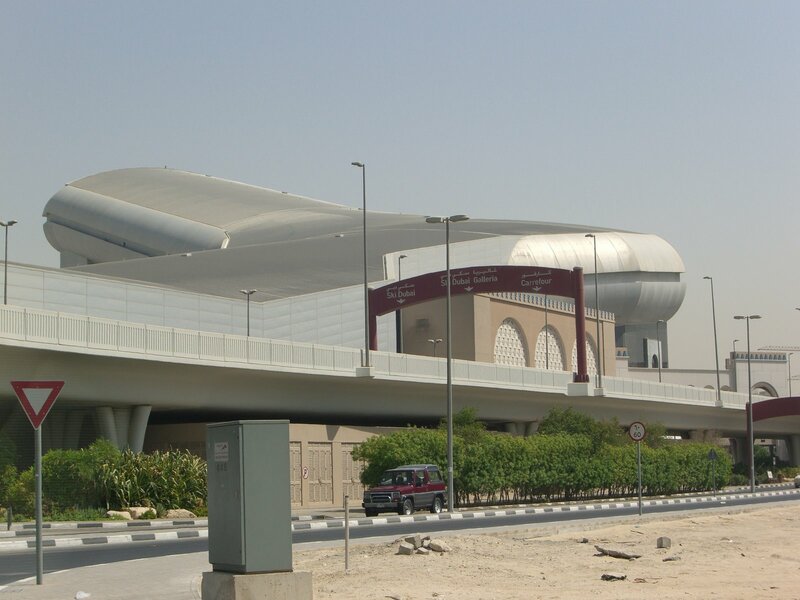 Then we see the exterior shell of the indoor ski slope. It seems like a fantasyland, a stage set. I feel like I am Alice in Lego Land. Other up-beat, national pride signs appear throughout the city: “Euphoria”, “Live Like a Star”, “Bathe Yourself in Tranquility”, “My City, My Metro”, “Dubai Is Beautiful. Please Keep It Clean,” “Where Dreams Take Flight”, “Surprising Dubai”. Simplistic? Naive? Maybe. But these goals are all worth pursuing, worth proclaiming. In 1932, oil was discovered in Bahrain. According to David Lamb in The Arabs- Journeys Beyond the Mirage, the literacy rate in this area at that time was 0% I repeat. 0%. Schooling consisted of boys learning to recite the Qur’an. All learning was passed along orally. Dubai was a small village surviving on fishing and pearl diving. The ruler of Abu Dhabi lived in a mud hut. In 1968 there were fewer than 20 cars in Dubai. In 1970, Sheikh Zayed founded the United Arab Emirates, a group of seven states, including Dubai and Abu Dhabi, which had previously been rival Bedouin tribes. This country is thus less than 50 years old. Like a mythic creature, Dubai literally sprang out of the desert, fueled by a source of unexpected wealth and the imaginations of a few tribal leaders, empowered by the Bedouin mentality of grit and daring. Indeed nothing seems impossible to them. This part of the Arab world had few tangible relics of culture and history to preserve. Remember, it was all a DESERT. So they proceeded to go about creating their future and their past at the same time. 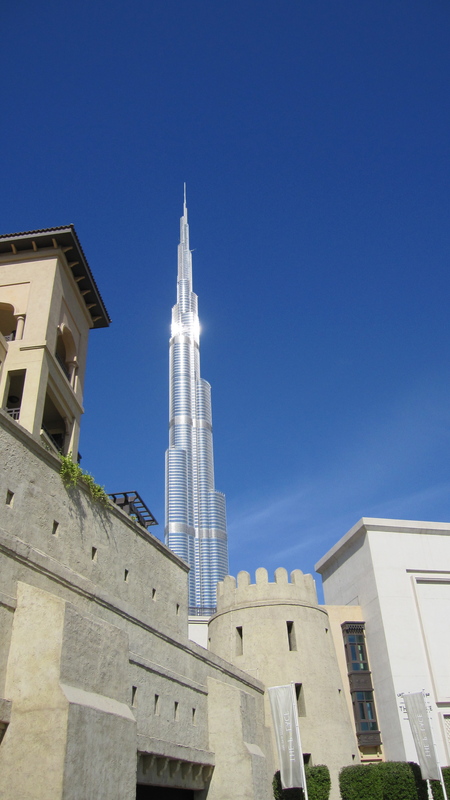 One part of Dubai, adjacent to the world’s tallest building, the needle-shaped Burj Khalifa, is meant to resemble the mud-dwellings of the past. It is called “Old Town.” Except it is brand new. 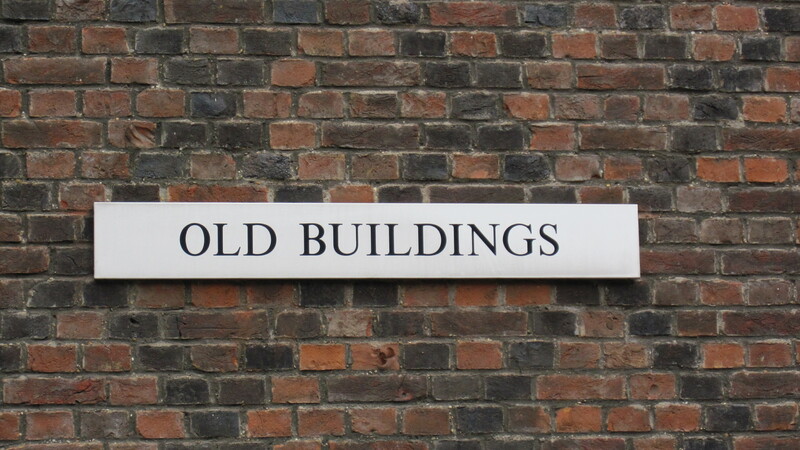 My husband and I were amused comparing that sign to one we saw posted in London in the Chambers compound at Lincoln Field , naming the “Old Buildings” as only those over 300 years old! 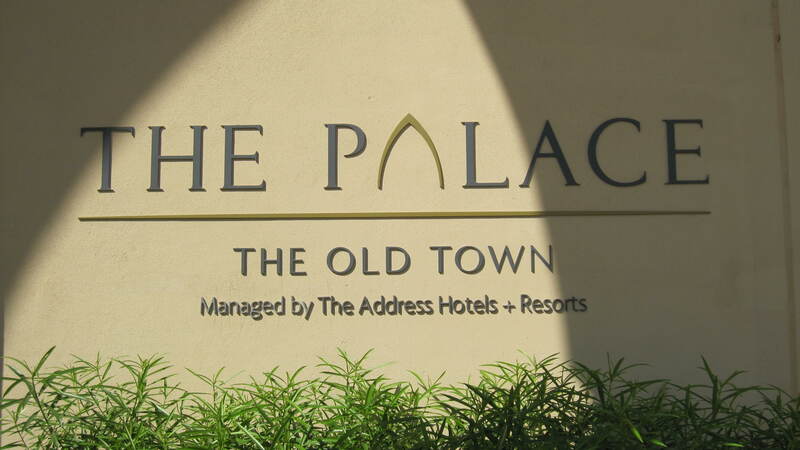 “Old Town” in Dubai is six months old. We are living in a weird time warp here! But it is all just a matter of perspective…And there is something fascinating about living in a city while it is being built. I’m sure Matt thought this “historical” perspective quite hilarious!!! So nicely written….and interesting. Will be following you around the world!! I’m having a ball, learning it all! How pedestrian i am!